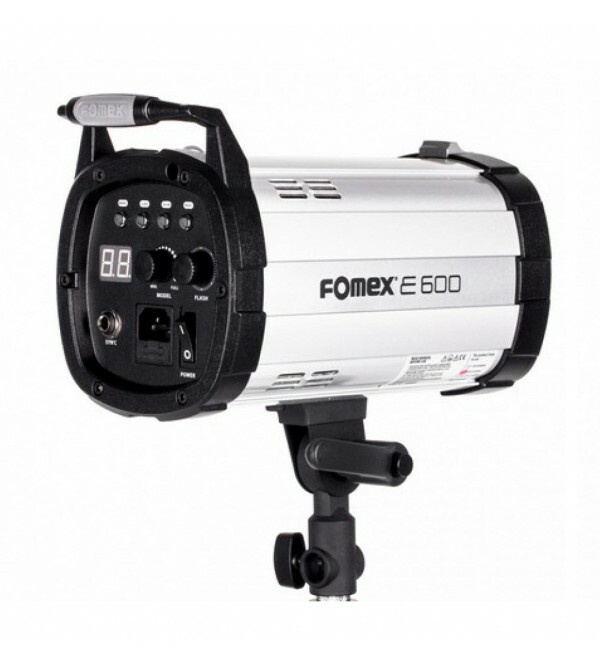 Fomex E-Series - Proprietary technology professional strobe. Through many years of FOMEX's technical knowhow, from design to finishing considered the user's environment and dedicated service mind, created a high standard strobe which is safe to use and produces stable light, color temperature, simple U.I and the new fashionable look. With ease and precision, control the directionality of the light with the new bracket. Fomex never misses to user's requirements. Ease the process of making choices then it comes to choosing a studio flash. 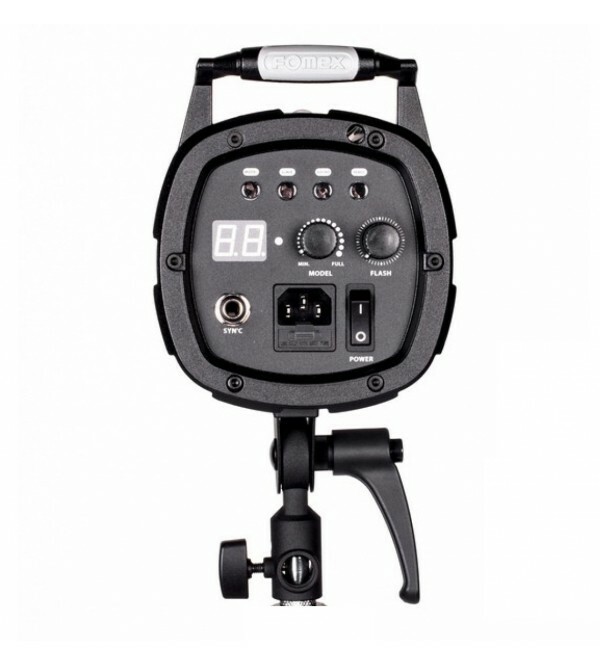 Providing High standard strobe for its price, features, safety, design, brand, and A/S. The perfect combination in both a precision of analogue and convenience of digital in photographing, E-series provide the best surroundings for photo-shooting. E-series consistently maintain apparent and substantial illumination using quality standard capacitor and high-efficient flash tube. This enables users to meet the best satisfaction at taking the finest images.